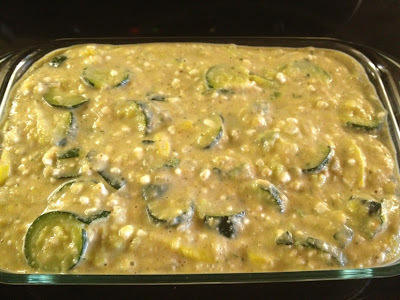 I got this delicious recipe from my mother-in-law and this was my husband's favorite growing up! If you need to bring something to a dinner party, this is a great option. 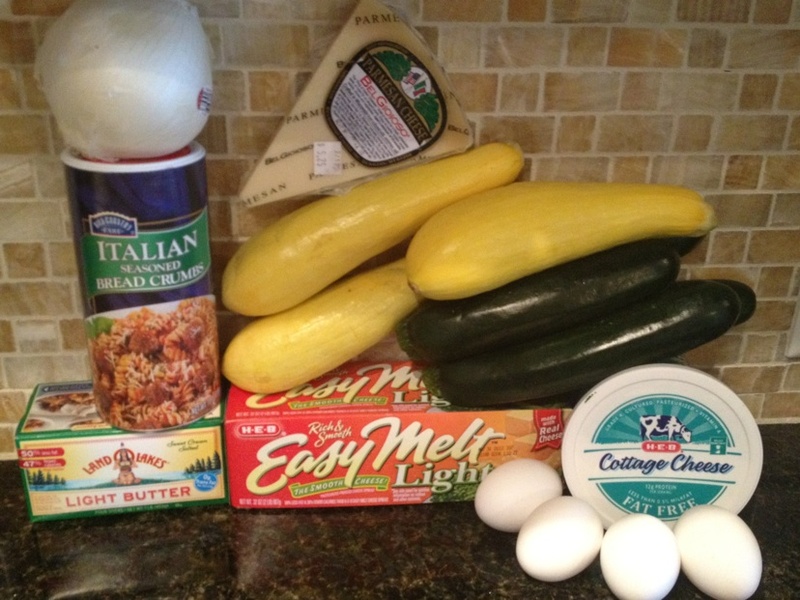 This recipe serves 8 so half the recipe if you are only cooking for a few people! 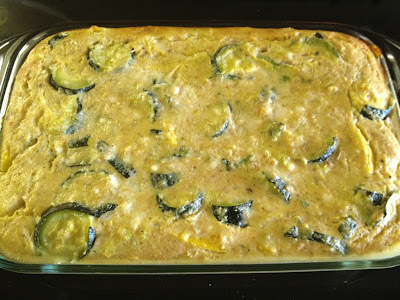 I made the entire recipe so we will be eating squash casserole all week (but I don't mind because it is so good)!!! Chop your onions and slice your squash and/or zucchini. 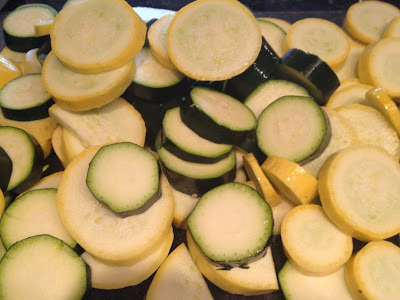 Saute cut squash in onion and margarine until soft. Beat 4 eggs in a large bowl. 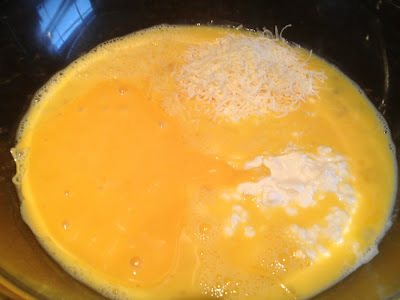 Then, add the cottage cheese, melted velveeta cheese, parmesan cheese and bread crumbs. Add a pinch of salt and pepper to the mixture. 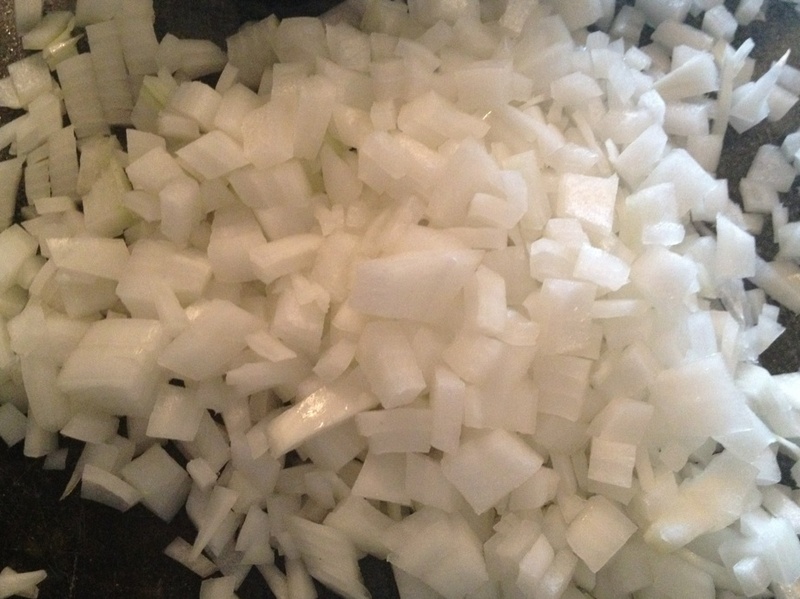 Finally, add your squash and onions and mix everything together. Your mixture should be semi-thick. If it is still runny, add more bread crumbs. Spray a casserole dish with PAM and add your squash mixture to the dish. Bake at 325 degrees for 1 hour or until the casserole is firm in the middle. You can test with a cake tester or just see that everything solidifies and does not jiggle!